This map shows claims near Wabaunsa [Wabaunsee], Kansas Territory. The names of claim owners identify each claim. Wm. 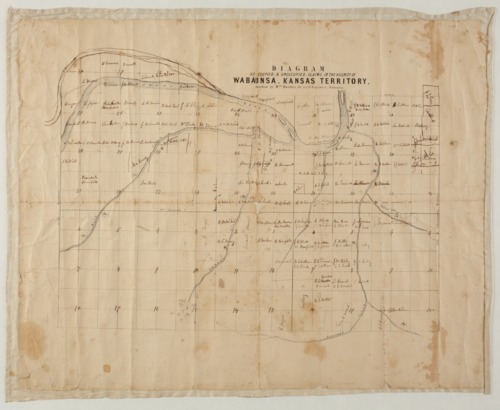 Hartley, Jr., civil engineer for Wabaunsa, drew the map which also shows the Kansas River and its tributaries including Deep Creek, Emmons Creek, and Antelope Creek.